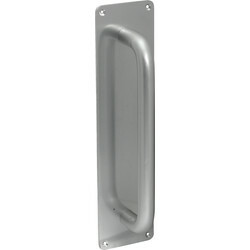 Open large and heavy doors with ease with our range of door pull handles and door plates. 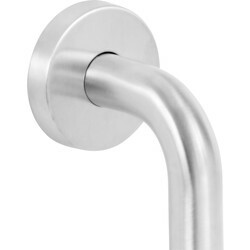 We offer a variety of door pull handle styles to suit any workplace or public space including aluminium, satin anodized finished and stainless steel pull handles. 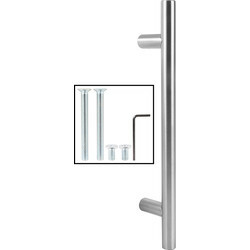 The stainless steel pull handle concealed rose set available from Toolstation is perfectly suited for trade and office spaces. This durable stainless steel pull handle is designed for long-term use, is easy to clean and has a high resistance to damage. 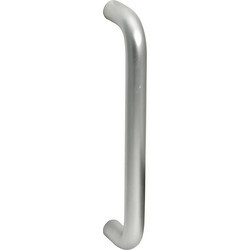 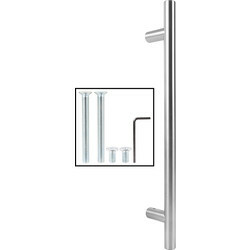 The aluminium pull handle is designed for heavy duty use and the 9" length is well suited to larger doors. 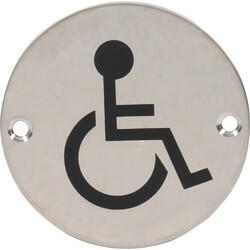 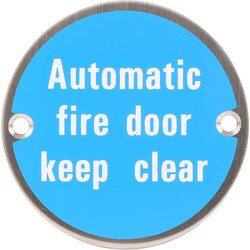 Prevent door surfaces being damaged by finger marks with our range of door finger plates. 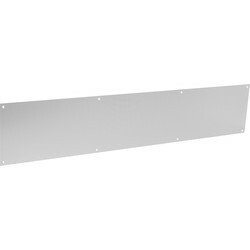 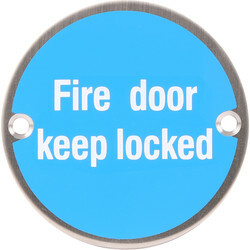 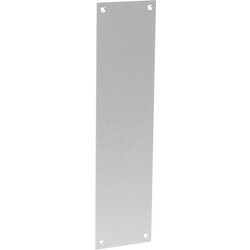 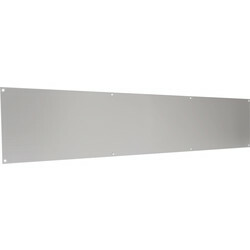 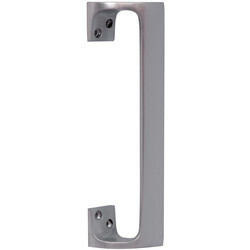 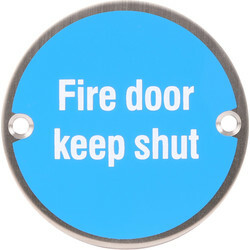 The aluminium finger plate is ideal for doors that are used regularly. 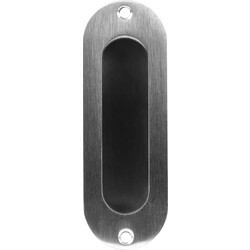 Each aluminium door plate is finished with satin anodized aluminium for a smooth surface and complete with 4 drilled and countersunk fixing holes. 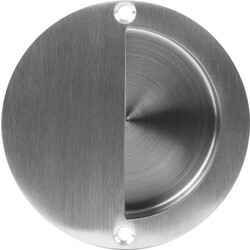 The radius corner finger plate has smoothed corners for a softer and rounder appearance. 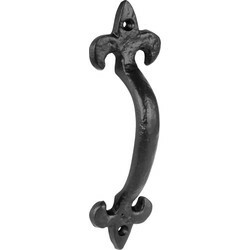 90682 Antique Iron Pull Handle 7"